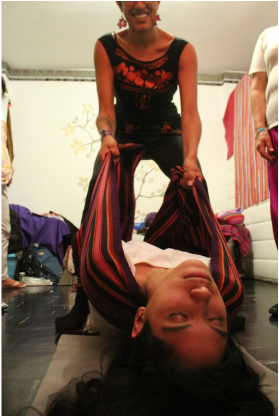 Using a manta or rebozo to 'mantear' the upper body. Lima, Peru 2014. The birth of a baby (or babies!) presents a profound life change for the individual and family. I feel honored to be able to serve and support you and your love ones through this process. As a birth companion/doula, I provide emotional, physical and informational support to people during pregnancy, labor and delivery. A birth companion can provide reassurance and perspective to you and your families, make suggestions for labor progress, help with relaxation, massage, positioning and other comfort techniques. I work with you and your loved ones to ensure that your birth experience is as closed as the one you have imagined for yourself. If you are interested on working with me or meeting me for an initial consultation, feel free to contact me. -First Prenatal Visit: assistance on creating a birth plan/preference (if needed), couple questionnaire, comfort measures during labor and pre-labor. 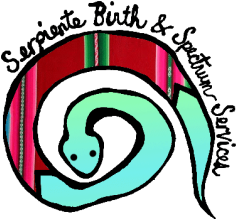 -Second Prenatal Visit: relaxation exercises, going over birth bag, review birth plan, continued education on comfort measures and answering questions that might arise. -Post-Partum visit: This can look very different depending on the kind of support you want. During the visit I will listen to your birth experience and discuss postpartum and breastfeeding. I could also spend time with the baby (babies!) so that family can have time to rest, take a shower or take a walk. I can also help with light cleaning and preparation of nutritious snacks for the family.